Star Trek finally returns to CBS All Access on Thursday with the premiere of Star Trek: Short Treks, a new series of short films featuring characters from Star Trek: Discovery leading into the show’s second season. The first episode of Short Treks is titled “Runaway” and stars Mary Wiseman as Sylvia Tilly. 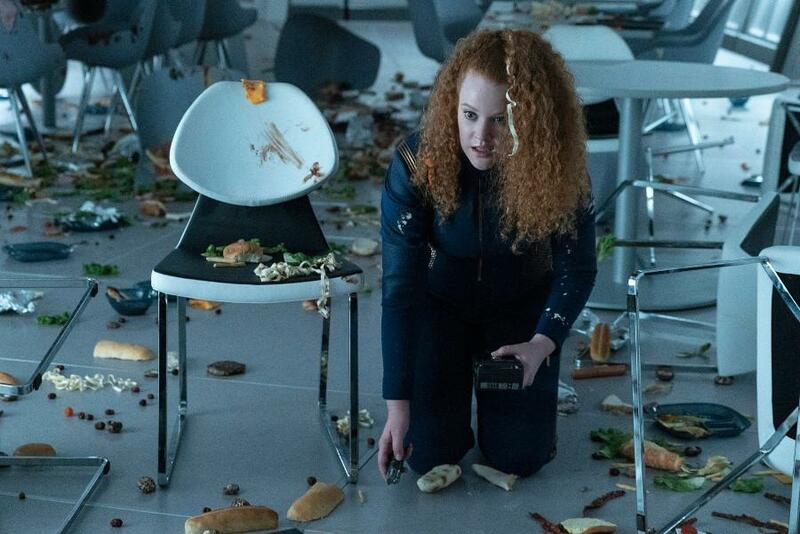 Tilly was a Starfleet Academy cadet throughout the first season of Star Trek: Discovery but received her commission and the rank of Ensign in the show's Season One finale. 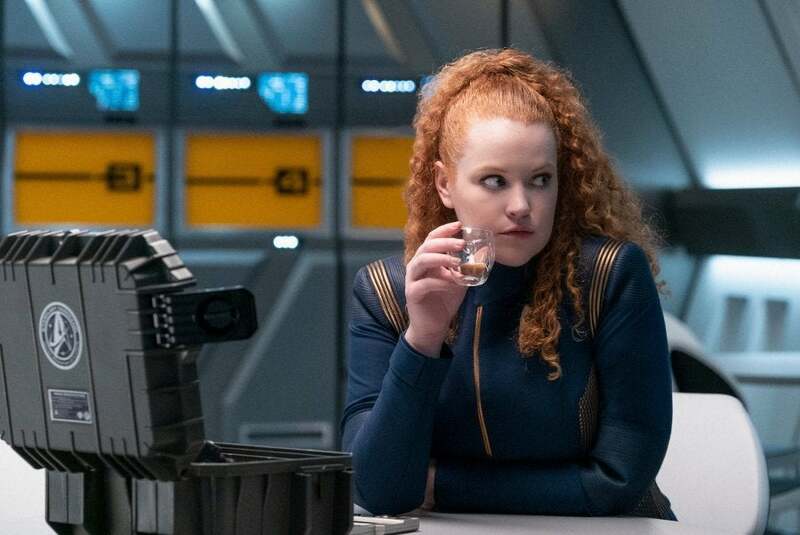 In “Runaway", written by Jenny Lumet and Alex Kurtzman and directed by Maja Vrvilo, Tilly encounters a stowaway aboard the USS Discovery and wrestles with what she should do about it given her new place in the command training program. But that’s not the only place that fans will be able to find Wiseman as Tilly in the near future. 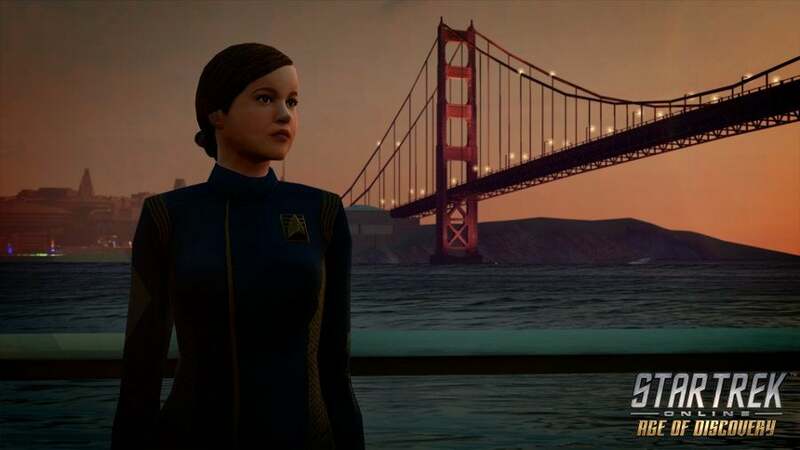 She’s also voicing Tilly in the upcoming Star Trek Online expansion Age of Discovery, which will allow players to create Star Trek: Discovery-era characters in the game for the first time. ComicBook.com spoke to Wiseman over the phone about returning to Tilly for “Runaway", Star Trek Online: Age of Discovery, and Star Trek: Discovery’s second season. ComicBook.com: How different was the experience of filming “Runaway” from filming an episode of Star Trek: Discovery? Mary Wiseman: There's a lot of similarities. We're on set, we're in our set that I spend all of my life in, and a lot of our crew come over to help out with the short. It's really nice having people you work with everyday kind of there. The difference is kind of the material. I don't think that Tilly's ever really had to face a crisis on her own. So, that was a really nice thing to get to do and to get to explore for the character. Last season you were playing Cadet Tilly. We saw her get a promotion at the end of Star Trek: Discovery Season One, so now she’s Ensign Tilly. Yeah, it's really gone to her head too (laughs). That’s actually funny because I was going to ask how that promotion has changed Tilly and changed your approach to playing the character. I don't think it's changed her too much. I think she still feels pretty wide-eyed and bushy-tailed. There's a difference in that she's very thoughtfully considering everything that she does because she really wants to succeed at this. This has been a dream of hers, getting into this program, forever. This is a big step in her journey, hoping to be captain someday. She really takes it seriously, as she takes everything very seriously. And she really wants to do well because this is her chance to really live her dream. Watching the episode, Something that struck me was that it actually felt very much like an old-school episode of Star Trek. It was self-contained. It was kind of a first-contact scenario. There was something of a morality play aspect to it. Was that something that you felt like you were deliberately going for, or was it more a side effect of it being part of this anthology series? I don't know. I don't know if that was what they in mind. I bet they did, because they are very smart over there. I don't think I realized it, but you're so right. Having seen it now, that's very true, you know. You used to get these kinds of one-time adventures with the main character who gets into trouble and that is very much what it's like. It was super fun for me. And the morality play aspect of it, Star Trek has such a long and proud legacy of that, and that's one of the things about that, presenting a situation and turning it on its head. So that was really nice. And as always, Tilly's kind of exploring, as everyone is, exploring the set in stone rules of what you're supposed to do as a Starfleet officer or obviously in the command training program, and then the intention and heart of those ideals, and how you live with that and so the real heart of the matter, what it really means to be Starfleet, not just what it feels like the protocol says you should do. When you signed on to Star Trek: Discovery, did you expect to become the biggest potty mouth in the Star Trek universe? (laughs) No, but it feels pretty appropriate. I have a bit of a potty mouth myself, so I think it makes a pretty natural extension of my regular life. I'm just like very honest. I think it's really sweet that this happy, unassuming, super nervous, wants to do everything right kind of person is the biggest curser on the show, and it's not like Harry Mudd or something. It's very satisfying to me. Is there a lot of deliberation about when it’s appropriate for Tilly to curse, given Star Trek’s family-friendly image? I think it is. I think they try to do it when it's really coming out of or an extension of a moment. Like the moment when she drops the F-bomb, that was like a real lovely moment of being super excited of doing the Star Trek science together. So, it has to be organic, and it has to feel necessary and not gratuitous, but that is also something that the writers consider really carefully. They're not just doing it for shock value. They want it to be real. You're also voicing Tilly in Star Trek Online for the Age of Discovery expansion. Was that your first experience doing voice work? And what was the experience like for you? Definitely my first experience doing voice work. I was super green and didn't really know what to expect and a bit nervous about capturing Tilly but in this other modality. But then when I got in there, it was kind of amazing and the people were all working with were so kind. I felt the scripts felt very genuine to me, like the kind of things Tilly would say at this point in her life. And it came pretty easy actually. Pretty natural fit, which was really nice. What can you say about what Tilly’s role in the expansion is? So, Tilly is basically your guide. She's at the Starfleet Academy and she guides you on a journey, basically. So, she's your best buddy and kind of helps you through the story and gameplay. Star Trek: Discovery Season One is about to release on Blu-ray. Are there any moments from the first season that stand out to you as ones you’re really looking forward to fans revisiting, or to knew fans seeing for the first time? I'm super excited for everybody to see the little day-to-day things we do. I know rewatching, you can really pick up on Easter eggs and things that are planted in the heart of Star Trek. But also, for me, I don't know going to the mirror universe was really exciting for me and I'm excited whole new group of fans to get to be part of that story. We just want as many people to see the story as possible, so it's really nice that it's out on Blu-ray. Is there anything you can tease about what Tilly might be getting into in Season Two that fans can look forward to? Now that I'm in the command training program I’m trying to live up to that and kind of do a good job and succeed and that will also be a big part of Season Two. When that is difficult and when that is easy, will be part of it. Obviously, there’s a lot of buzz about Ethan Peck being cast as Spock in the show. Can you share anything about what it’s been like seeing Peck in costume as Spock and working with him on the show? It's amazing. He's so well suited for this character, and it was awesome. Spock is a huge mythical character that even people who aren't Star Trek fans like. He's kind of a very important character to our culture. Getting to be around that character feels pretty surreal and pretty special. Any last words you want to leave fans with? Star Trek: Short Treks premieres Thursday, October 4th at 9:30 p.m. ET on CBS All Access. Star Trek: Discovery returns for its second season on CBS All Access in January 2019. Star Trek Online: Age of Discovery launches October 9th.